Christmas features largely in our annual calendar of celebrations. For our family, it is a busy of the year as we gather at various weekend parties before Christmas. This year, we decided to organize just one large combined Christmas party for our family and friends instead of segregating the group and having different parties over several days. Also, I felt motivated to add some personal touches to an otherwise outsourced party as we are engaging a caterer to handle the food arrangements for almost a hundred guests. 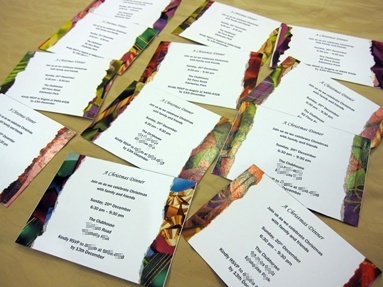 The Christmas party invites were handmade from cardstock sourced from the craft shop. I decided I did not want a cookie-cutter style and so each invitation card is unique, no two are the same. 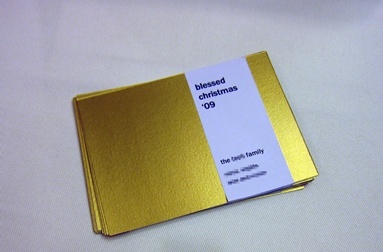 One side has a shiny-but-slightly-matt surface while the other side sported colourful borders. 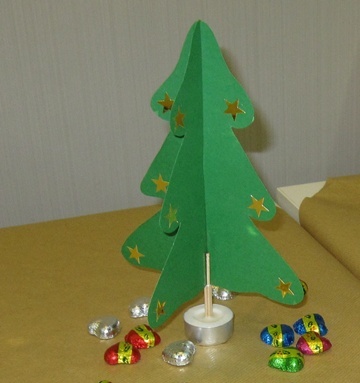 For each table group, I made a Christmas Tree centre-piece to add a festive tinge to the room and as a tribute to the season. Chocolate hearts were scattered around its base to bring some colour to the table setting. 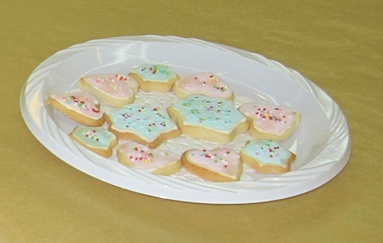 The sugar cookies I baked earlier were also left in plates on each table to serve as snacks for those with a penchant for sweet things. The kids loved them and I was so touched that several came up to say how much they liked the cookies. 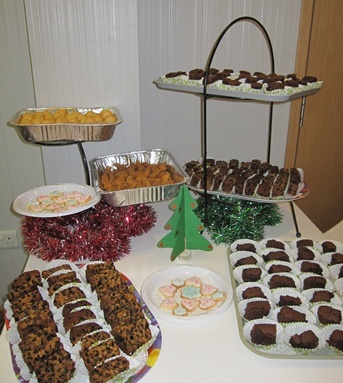 This is the first time I baked for a large-scale occasion and I was so touched and encouraged when all the shepherd’s pie, fruitcake and brownie squares were polished off. Alas, Hubby and I were so caught up as hosts that we totally forgot to take pictures of the other food once our guests started arriving and we flitted from table to table, chatting and reveling in their company. 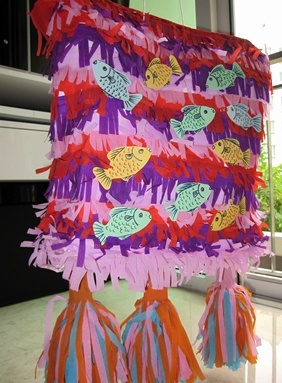 After dinner, the kids had fun with a piñata lovingly made by my mother. 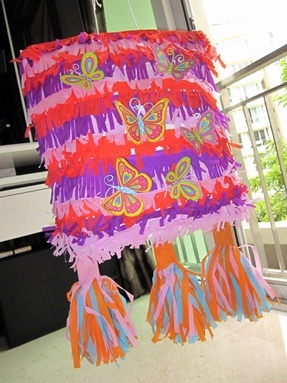 Using only natural materials, she lent her creative energy to fashion a striking piñata, heavily stuffed with goodies and little knickknacks. My mother truly has a way with kids as she organized the kids program that night and all of them, including the older children, had lots of fun. It was a really wonderful evening spent with family and friends and a satisfying culmination of weeks’ of preparation, to finally know that it had been one great party. Alas! The batch of cookies I made for a Christmas party this weekend had gone soft. 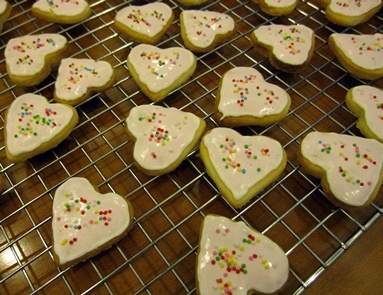 I have been wondering how to restore their crispiness as a layer of royal icing on them complicates matters. Previous times, I just popped them into the oven for a couple of minutes and then let them cool on a wire rack. 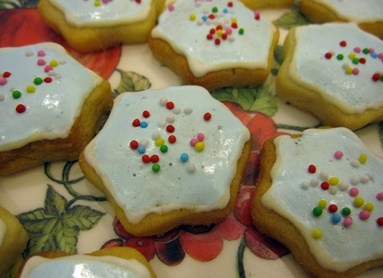 However, the royal icing on this batch of cookies makes this method unusable. It just will not do for the cookies to be crispy again only to end up with a messed-up blob of watery icing on its top. So when I chanced upon this method, I was eager to give it a try and…it really works! This method requires some care to calibrate the amount of microwave time required to warm the biscuits/crisps etc rather than overheat them, but once this has been established, the process is repeatable. I am told that this same technique works for potato chips and other crispy snacks too. 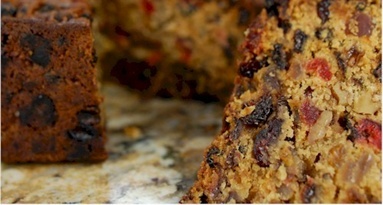 Do note that for items that have fillings or coatings that melt under high heat (such as chocolate or jam biscuits), take extra care to limit the heating such that it does not melt the filling/coating. Instead, more cycles of the process can be applied. 1. Get several cold ceramic dinner plates by putting them into the refrigerator for a couple of minutes. 2. Put a few of the soft biscuits on a plate and put it in the microwave oven. Give it a blast for just long enough to warm up the biscuits but not cook them. 3. Take the plate out of the oven and transfer the warmed biscuits onto a cold ceramic plate. What happens is the moisture in the biscuits evaporates without boiling and then condenses on the cold surface of the plate. 4. Transfer the biscuits onto another cold plate. Dry the first plate, and repeat the process a few times. After several cycles of the process, the biscuits will be dry and crispy.